Angry Asian Buddhist: It's Obon Season! 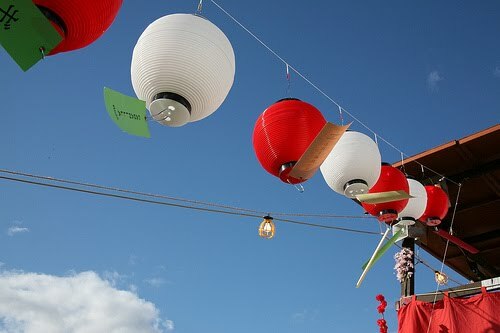 We are already well into Obon season, and I haven’t even started to practice my moves yet! I’ve posted about this holiday and festival before, and you can probably expect a few more posts this summer. My favorite explanation is still this article by Rev. Patti Usuki. There are already videos up of this year’s bon odori at the Arizona Buddhist Temple and the San Fernando Valley Buddhist Temple. If anyone has any other photos or video—especially from the recent Senshin or West Covina Obon festivities, I’ll most happily post those here too!